‍Are you intrigued by drones? 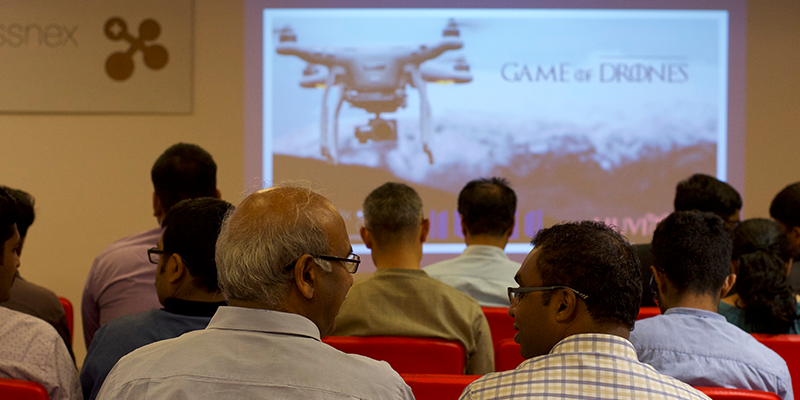 Here’s an overview of ‘The ‘Game of Drones’, an interactive session held in Bengaluru recently, which brought the drone communities in India and Switzerland, by Swissnex India, Huviair Technologies and Indian experts from drone-tech startups together. 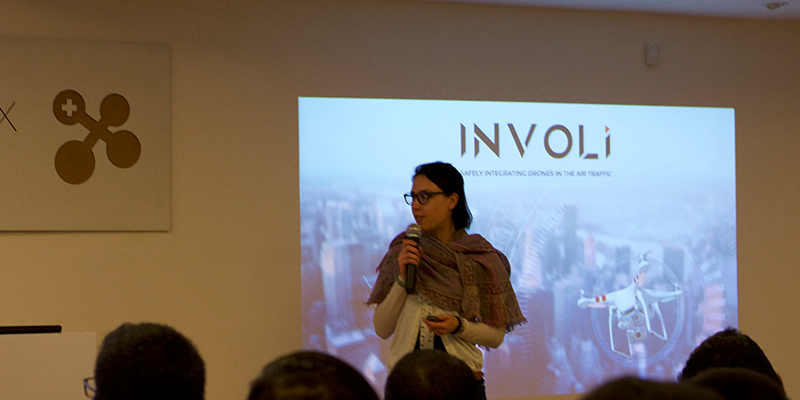 The event was about the future of drone technology and how this would impact the drone-tech startup community. If you aren’t a ‘Game of Thrones’ fan and don’t get the references, don’t worry. You’ll still gain insights on what will determine the future of drones – the regulations, the technology and the education! Winter is coming and so are the new regulations to fly drones in India. Can we fight the Whitewalkers aka security threats and still have a win-win for the Indian drone industry? The Knight’s Watch (the drone industry) is eagerly waiting for the day when the Ministry of Civil Aviation’s Drone Regulations 1.0 will come into effect. While we brace ourselves for significant changes in the way the industry needs to operate, we’re exploring the trends in the world beyond Westeros… we mean India. At the ‘Game of Drones’ event held on 28th November in Bangalore, we caught up with the key Swiss and Indian players in the drone ecosystem, who came together to explore synergies and share best practices, on how the industry would evolve. Imagine you are in a parking lot and you’ve lost your car keys. And you call your wife to send you the spare key. A day will come when she will not have to drive all the way back. She just has to hand it over to a drone that’s sent over. How cool would that be? Well, that’s what the future technologies have to offer – convenience, speed, efficiency and flexibility. This might not be the greatest example where technology can touch lives. A video was made by Redwing Aerospace Laboratories and Bloodstream some time ago that solves the most critical factor in healthcare logistics – getting blood on time. Now that’s a perfect example of technology simplifying lives! So, what are the top three areas where drone technologies would make a deep impact? Chaos isn’t a pit. Chaos is a ladder! While there is lot of speculation going on, on the upcoming regulations, it also brings about opportunities to be more streamlined and efficient. “Regulations are absolutely necessary to ensure accountability. Integrating autonomous systems into society has its own challenges. And for India, I think the new set of regulations is a great step forward. Since it’s new, there will be a steep learning curve. And to prepare better for this, India could look at lessons learnt by other countries,” says Simon Johnson, VP of the Drone Association of Switzerland. Drones might take away jobs in the future; but it also opens new avenues to greater opportunities. However, there’s a dearth of platforms to power skilling for tomorrow. An interesting idea that came out of the discussion was to create a curriculum on Drones 101 – to equip tomorrow’s talent to be able deliver the jobs the plethora of jobs drones would create. “A lot of industries are finding that competencies and the skills that they need for businesses are not present in the current labour market. Therefore, we need to better synergise aspects of what the industry really requires with what the current education system provides in order to be more effective for training people for jobs of tomorrow,” says Raghav Khanna, doctoral student at ETH Zurich. Would the drones win the iron throne? Drones are undoubtedly the future but it comes with huge responsibilities to create the right kind of impact. Our participants had interesting inputs on the niche areas wherein future drone technologies could create huge impact. As mentioned by one of the Indian participants, “When you play the Game of Drones, you either fly or fall. Would the future of the Indian drone industry take flight or be restrained by regulations, we’ll know soon enough”. The whole meet was a stimulating and encouraging experience to initiate and participate in this first-of-its kind initiative to bring together drones communities from India and Switzerland. “It is clear that discussions and explorations of collaborations, partnerships and knowledge exchanges sessions between stakeholders of the two ecosystems shall be continued for the development of drones, their associated technologies and possible use cases. The potential is huge and promising,” says Loïc Krähenbühl, Entrepreneurship & Innovation, and Swissnex India.